I’ve always considered the Internet to be a curiosity machine. It has been a great enabler of my own personal education. Everything I have ever been driven to learn has taken long, mazing routes through the snaking corridors of the World Wide Web. Learning may have started within the classroom, but anything I was ever truly captured by took me on a journey beyond it. It is this curiosity that has always driven progress, from the first tools created by our ancestors to the great Scientific discoveries of the modern age. As we pave the way for new technologies, we must seek to encourage this trait and we must ensure that new technologies further our curiosity, not constrain it. I’m just about old enough to remember the introduction of the Internet and I’m lucky enough to be part of the generation the Internet enabled. The Internet is now no longer a thing, it just is; so ubiquitous that it’s just a layer of our everyday world, much like the computers that preceded it. So, what’s next? Augmented Reality tech, like that developed by Meta, will let us interact with virtual objects as though they are real. We are about to enter a new age in technology – the next era of computing. We’re going to have intelligent, autonomous computers that exist everywhere, far outnumbering humans and constantly talking to one another. Augmented Reality will radically change how we conceptualise ideas. Virtual Reality will allow an experience to travel anywhere. None of this is a distant future. We are, in one sense, already in a virtual reality. The real world constantly responds to manipulations we make in the virtual world. And for many kids, as well as some adults, this is a concept that is hard to comprehend: just look at how prevalent cyberbullying or public shaming on social media is. These worlds aren’t separate: an action in the virtual world on a mobile device or online already has an equal reaction in the physical world. My generation grew up with a radically new set of technologies to the generation before me; today’s generation will do the same. But, just like it did with me, we can be sure that technology will play a larger and larger role in the lives of the younger generations. Technology will become less a tool and more an extension of who we are. Change will happen regardless and it’s important that we are proactive about accommodating it. Mobile has enabled an exponential advance toward a world where computing power no longer lives in clusters but is woven into the fabric of our world. In 10 years, the smartphone may not exist in the same form it does now but miniaturized computing will exist everywhere. 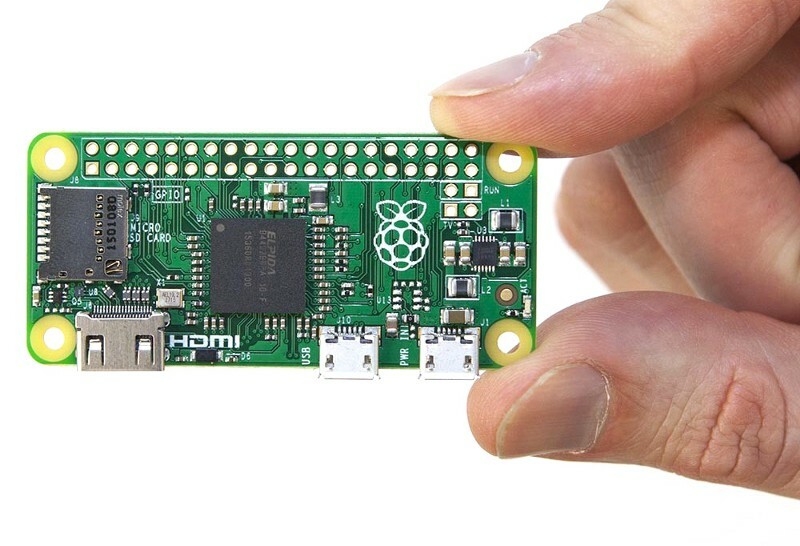 Pi Zero. A 1GHz computer for $5. This is the world our children will grow up in, a world where artificial intelligence and alternate realities will be very real considerations. In the learning ecosystem, it is easy to dismiss future technologies as a distraction. But, as an integral part of our lives and what children expect to interact with, it is vital we work with them. These new technologies can either become burdens or they can become opportunities. As technology moves beyond simply being a tool, we can radically reshape our world, and for the better. The opportunity to combat climate change and to right global poverty, amongst other societal issues, has never been higher. As these alternate realities and technologies develop we should look at how they might impact the role of the school. The physicality of the school experience and interaction will always be essential. But there is an opportunity for informal, complementary learning that occurs beyond the classroom. Learning built on the foundations of interest. Currently, we educate children through an education system: a set of rules, procedures and structures. But as long as we consider it to be a system it will never be able to keep pace with change. Instead, we should look at something less rigid that allows for technology to be additive when it is the appropriate solution to a problem. We need to react to what kids are engaged by and we must accept that school is and should only be part of the picture. Informal learning will start to play a bigger part outside of school and it becomes our duty, as technology companies, educators and parents to play a responsible, proactive part in guiding this change. This is where these technologies can have a real impact; when learning becomes indistinguishable from play. Kids love Virtual Reality and instantly get it. When the excitement wears off, there’s a real opportunity here. Technology should not give us the answers, it should give us the insight and the space to ask the questions. Technology should encourage curiosity and ask us to take a problem beyond the classroom. With curiosity comes a desire to question, a desire to think beyond tests or qualifications and a desire to think around a problem. It is abstract qualities like this that we must encourage. When we’re young, we are supercharged. We are always looking for answers and questioning everything. Whether it’s systemic or a natural part of growing up, we lose this sense of adventure as we get older and the education system tightens its grip on us, focusing on testing and on grades. Alison Gopnik describes the mind of a child as having a ‘lantern focus’ rather than the ‘laser focus’ that we feel we need as we grow up. It’s this lantern focus that I pair with curiosity and exploration and it’s what fosters discovery. We should strive to keep the lantern lit for as long as we possibly can. With virtual and augmented reality, the opportunity is about going beyond information and into the communication of experience. The power of virtual reality is that it enables an experience to live anywhere. The power comes not from teleporting your brain to another location but from interpreting that location and situation in a way that is relevant to you. It is this experience, and the accessibility of these experiences, that will enable children to develop a broader lens of the world. And it is this broad lens that enables a higher-level intellectual thought process. This is what we should be encouraging in the next generation. We’ve had the democratization of knowledge. This is about the democratization of experience. If experiences are one of the cornerstones of learning, then we’re not far off a future where these experiences can be enjoyed by the same children, regardless of income, location or background. Regardless of whether they are in school or in the home. This universality of experience is an incredibly powerful evolution. Virtual Reality will never completely replace physical field trips or travel but it will enable an experience to happen when it would otherwise be impossible. And not only will it be an enabler of experiences in lower-income areas of the world, schools and homes, it’s also going to be an enabler of experiences to impossible places: to distant galaxies and to microscopic worlds. So with this in mind, how can we curate virtual reality to deliver these perspective-altering experiences? How can we ensure we are not simply using the medium to implant ideas and instead we are using it to transfer an experience with the objective of inspiring questions? It’s an ethical minefield but also, a great opportunity. This is the purest medium and subsequently holds a lot of power. How do we ensure that it is used as an experience to enrich and not to corrupt? We need to take ownership of the medium. And we do this not by controlling and destroying the open nature that makes the Internet so valuable, but by ensuring that the highest quality, well thought out, ethically built experiences rise to the top. We should be striving to create a virtual reality that is richer and stronger than our own reality, that’s creative, diverse and not simply a replica of what we know now. It should connect, not isolate and it should encourage discovery, exploration and adventure. We need to take ownership of the technology. Digital learning should never replace the classroom but it will have a major role in taking learning beyond it. We must ensure that technology frees us, not constrains us, and that it gives children the space to explore, discover and to be curious. To be truly powerful on a societal level, virtual reality must become the ultimate curiosity machine. Guest post by Ed Barton, the CEO of Curiscope. The startup is building educational adventures in AR & VR. 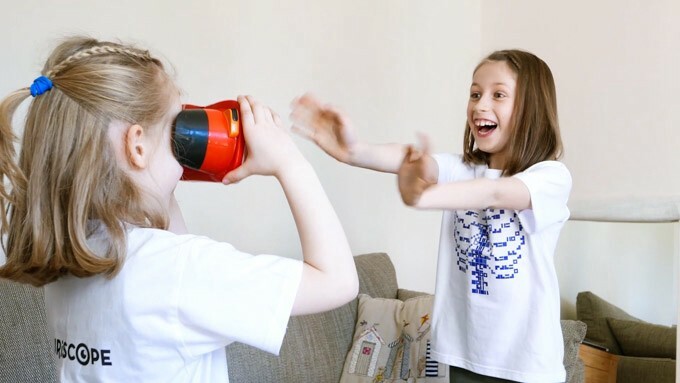 Their AR/VR Virtuali-Tee is currently live on Kickstarter. This post originally appeared on Medium and was reprinted with permission from the author.